CupOJoewithBill.com: Junior High Students Lead the Way in Disciplemaking! 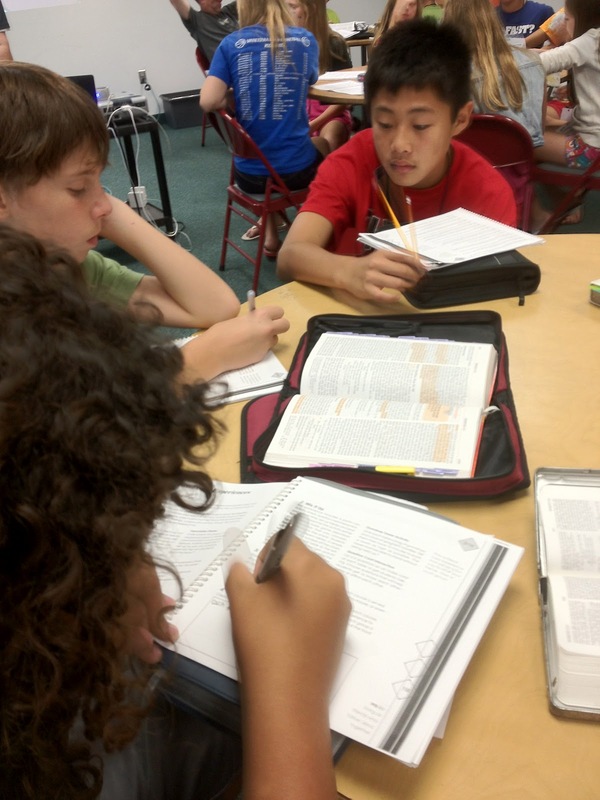 Junior High Students Lead the Way in Disciplemaking! We just invested a weekend encouraging and equipping junior high/middle school students to make disciples who make more disciples. Yes, I said junior high and middle school students and disciplemaking in the same sentence. For some strange unfortunate reason, junior high/middle school students are often regarded as the ugly step-daughter of youth ministry. When it comes to disciplemaking like Jesus, I think jr. high/middle school students can lead the way... for the high school students and adults. (Yeah... you'll probably need to reread that sentence again.) I continually see it happen... and I saw it in Minnesota at the Equip Training Experience last month. About 100 students and youth leaders from 5 different ministries from 3 different states gathered at Ridgewood Church in Minnetonka, MN for the Equip Training Experience. Almost every part of this equipping experience was led by the students (with adults in supporting roles)... including the training and worship times! The training is fun, biblical, and highly interactive. No long lectures here. Lots of disciplemaking triads (groups of 3) wrestling Scripture for understanding and application... together. Plus, each day there are practical, hands on expressions of overflowing God's love to the world... so Equip isn't simply a seminar that happens at a church. 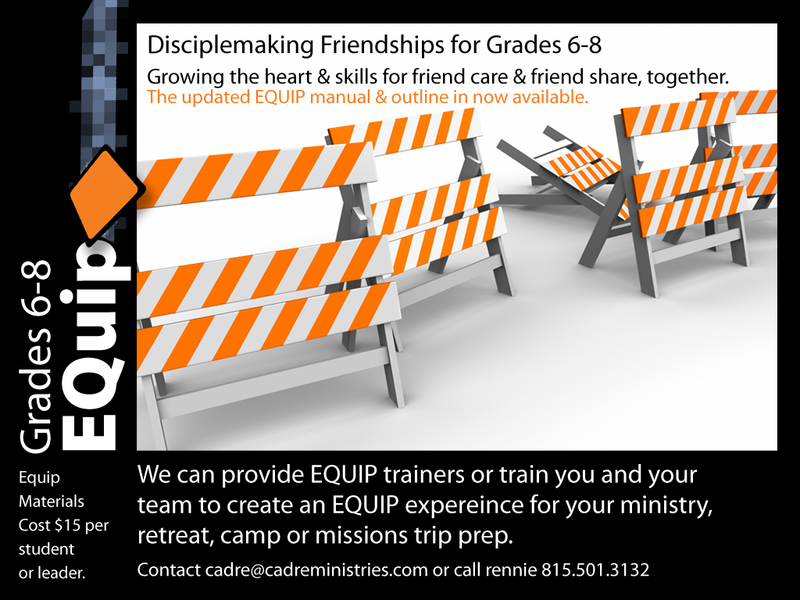 It's an authentic disciplemaking training experience. Right out of the Equip training manual (click the image to enlarge for reading). "Living as friends who follow Jesus together. "AKA: Disciplemaking. Lots of hands on learning activities... students with students... adults with students... all learning together and having a blast. Here's another learning activity that included engaging students in God's Word, praying, and community. Studying Scripture to know and love God... together. By now you might be thinking, "The middle school students in our ministry would never do what I'm seeing students do in these pictures." I say, they could and would... IF you would lead them there. Perhaps you are getting from junior high students what you expect. You don't expect much... and your getting exactly what you expect. Maybe you need to change your expectations. Yes, students also serve at Equip behind the scenes. Everyone's got to eat during the weekend training experience. These crazy students and adults made some of the meals happen... and they had a ball while working for God and others... together. Yep. 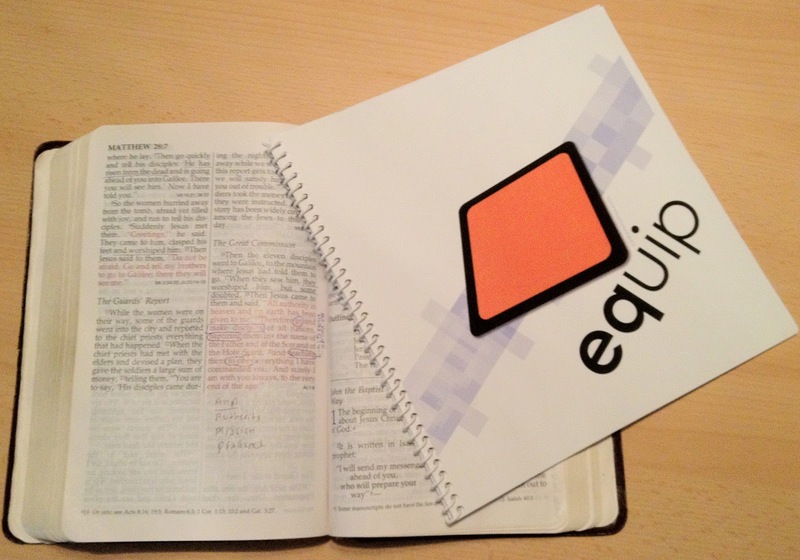 Equip is a crazy fun and life-changing equipping experience designed to "equip" junior high and middle school students to be disciples who make disciples... who make more disciples. Isn't that what Jesus really wants from all of us who claim to know and follow Him? 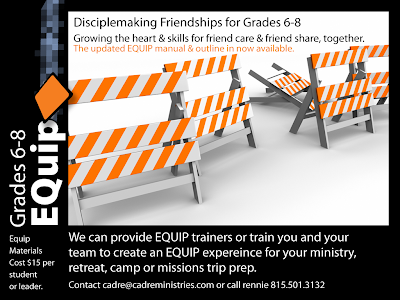 Want to learn how to bring the Equip Training Experience to your junior high/middle schoolers? Contact Cadre Ministries for complete details.